Hej! I’m Corinne, I’m from North Carolina, and my home school is UNC Chapel Hill. And, of course, I’m spending the summer in Copenhagen with DIS! 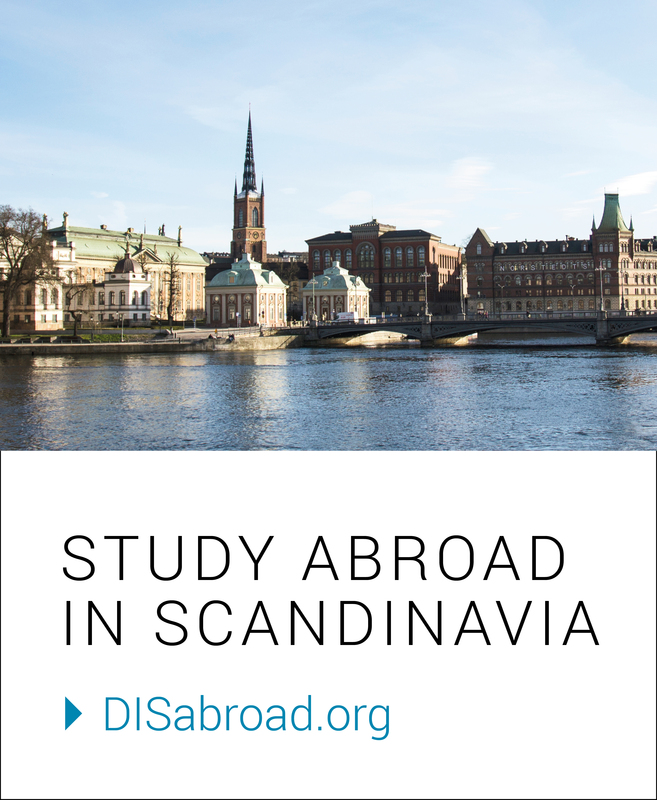 I’ve always wanted to study abroad, and was drawn in by the unique course offerings and teaching style that DIS offers. Then I started looking up pictures of Copenhagen, and well, that was that! The city is unique and charming, with cafes, bars, and shops up and down every street. 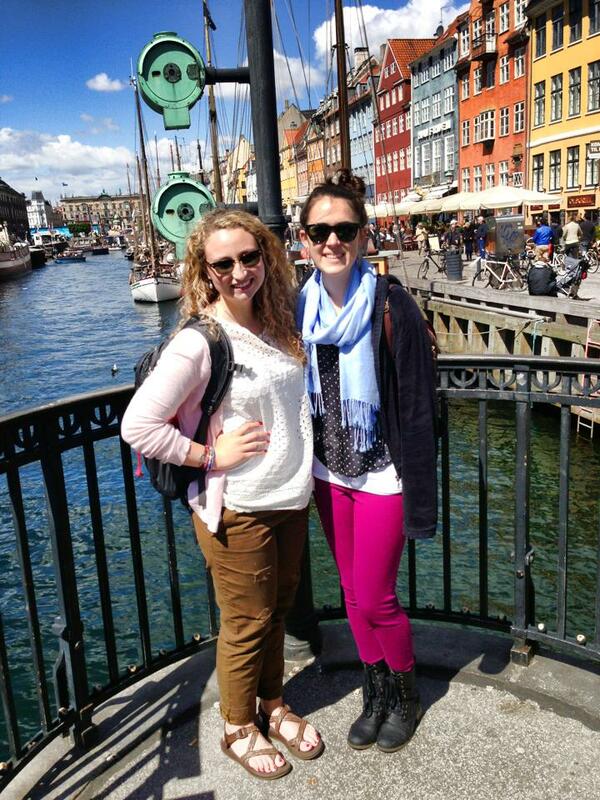 The buildings and houses are just as colorful as they looked in the pictures that spurred my decision to come here – and the canals are twice as beautiful in person, especially at famous Nyhavn (I’m on the right with the bright pants – with my roommate during the amazing race)! Since I’ve only been here for the first weekend so far, I’ve experienced much more of the city than I have of class – a lot of which is thanks to DIS! Getting to our housing from the airport made the city seem pretty intimidating, but the size of the city quickly shrunk as I got used to taking the bus back and forth from here to the city center – where the DIS classrooms and offices are, as well as the main shopping street and the busiest tourist districts. Probably the most useful experience in getting to know the city was the Copenhagen Amazing Race that DIS sent us all out on after our orientation – it hits all the major historical sites and (despite being a lot of walking) was an amazing experience! Also offered by DIS (but something anyone can do on their own) is the canal tour! Seeing the city from the water is a must-do and is probably my favorite thing I’ve done so far. 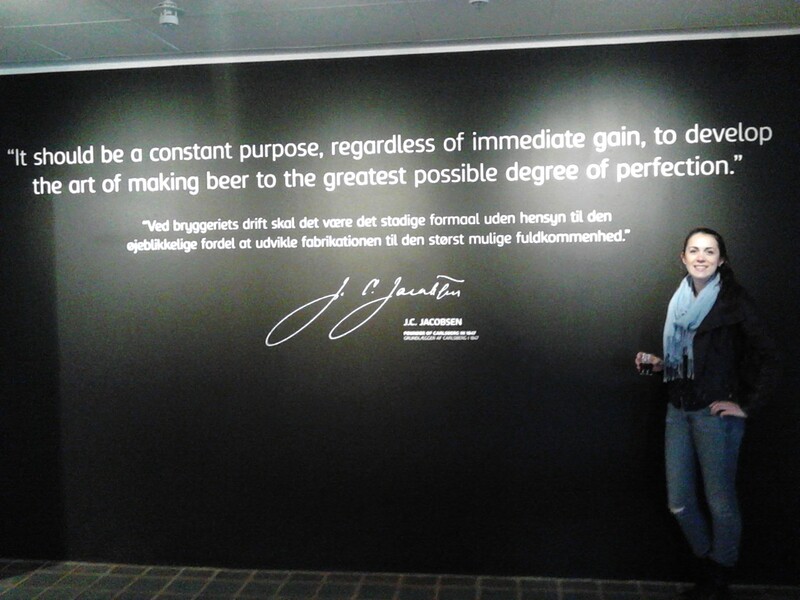 I also went out to the Carlsberg brewery with some classmates – DIS students are great about just getting together to go out on adventures in the city (thank you Facebook groups). Now, this might be off the beaten path, but I think it’s somewhere everyone should go; the minute you step foot in the city of Copenhagen you are visually bombarded with the Carlsberg and Tuborg logos. Not only does every restaurant , café, and bar serve beer, but they all serve Carlsberg. The Danes have their own beer, and they’re proud of it (with good reason)! It’s a great stop, and admission to the exhibit includes two free drinks (beer or soda). Starting to get to know the city has been an adventure and I can’t wait to really get into adding my classroom experiences to that! There are so many little things to discover in Copenhagen, and I can’t wait to see what else I can find (hopefully more food carts)!